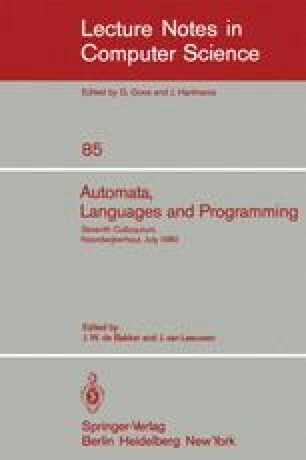 We have shown that correctness properties of parallel programs can be described using computation trees and that from these descriptions fixpoint characterizations can be generated. We have also given conditions on the form of computation tree descriptions to ensure that a correctness property can be characterized using continuous fixpoints. A consequence is that a correctness property such as inevitability under fair scheduling can be characterized as the least fixpoint of a monotonic, noncontinuous transformer, but cannot be characterized using fixpoints of continuous transformers (nor as the greatest fixpoint of a monotonic transformer of any degree of complexity lower than fair inevitability itself). Hence, currently known proof rules are not applicable (see however [FS80]). We are now investigating whether useful proof rules can exist for correctness properties having only a monotonic, noncontinuous least fixpoint characterization. In addition, we are examining alternate notions of fairness which do have continuous fixpoint characterizations.